FOLDS WITH JUST ONE PUSH! 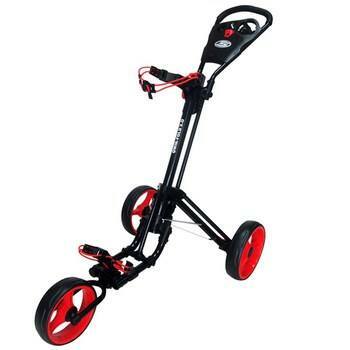 The Qwik Fold Golf Trolley from Skymax golf is one the best fold down cart we've seen in years. Great value for money the Qwik fold fast becomes your friend with it's compact size and lightweight design. Only 29" x 13.5" x 14.5"
"What can you say about a trolley which scored a perfect five out of five for ease of folding! Our team were stunned by how easy this was to fold and unfold with a simple push of a button. It also scored highly in the looks department...while the reasonable price tag also impressed our testers....when it came to sheer ease of use then this won hands down!